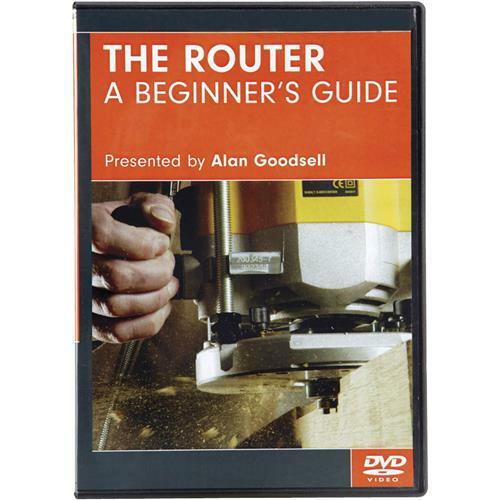 The router is the heart of any woodworking shop, and for new woodworkers learning to use this indispensable tool, this DVD is your ticket to a solid foundation of routing skills. Topics include basic operation techniques, router safety, holding a workpiece, and a handful of projects for the home.Note: Due to their nature, DVDs are non-returnable. Defective DVDs will be replaced. The router is the heart of any woodworking shop, and for new woodworkers learning to use this indispensable tool, this DVD is your ticket to a solid foundation of routing skills. Topics include basic operation techniques, router safety, holding a workpiece, and a handful of projects for the home. The DVD expanded my knowledge of router uses. Thanks for sending it. Very sturdy medium sized workbench. Arrived in good condition and was complete. with guides in place before anchoring vise plate to table.